Sussex Police has welcomed the announcement, coinciding with Anti-Slavery day tomorrow (October 18), of funding for a new post to help the force combat modern slavery. Detective Superintendent Ian Pollard said: “The new role of modern slavery delivery manager, funded by the Sussex Police and Crime Commissioner, Katy Bourne, will be dedicated to working with our multi-agency partners to better understand the complexities and the scale of modern slavery and human trafficking across Sussex – and to seek to provide the right level of interventions and service to the victims of this emerging crime. “We do not yet know the true level of modern slavery in Sussex and the various different forms it can take, but we are working with other agencies to help better understand this across Sussex along with our colleagues in the South East region and nationally. “Across Sussex we are already working with local partners, including Samantha Williams, from East Sussex County Council, who chairs the new Sussex Modern Slavery Network which is made up of representatives from local authorities including Brighton and Hove City Council and West Sussex County Council, as well as Sussex Police, the Officer of the Sussex Police & Crime Commissioner (SPCC), both fire and rescue services, clinical commissioning groups and the Gangmasters and Labour Abuse Authority (GLAA). 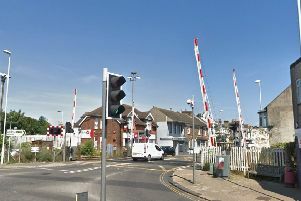 “Several local initiatives are also under way, such as Project Discovery in Hastings where police are working with the local Anti-Trafficking Hub (HATH) to bring together organisations such as Sussex Police, Hastings Borough Council, King’s Church and more to uncover the reality of trafficking in Hastings and Rother and develop a multi-agency project to identify and deal with modern slavery in the area. “All information is referred to the National Crime Agency through a national referral mechanism which is a process for identifying victims of human trafficking and ensuring they receive the appropriate protection and support. “We are always keen for further information from the public to help us uncover the true scale of the problem. One example of a local project in Sussex comes from Hastings. The Hastings Anti-Trafficking Hub (HATH) was formed over two years ago and has regularly brought together organisations such as Sussex Police, Hastings Borough Council, King’s Church and more. Natalie Williams, who chairs the HATH on behalf of King’s Church, explains: “We’ve been able to work in partnership to achieve a great deal over the last two-and-a-half years – including finding victims, training senior staff in many local organisations, and raising awareness of the issue among the public. Discovery brings together a variety of statutory and voluntary organisations from across Hastings & Rother with the shared aim of seeing victims of modern slavery rescued and supported, and perpetrators brought to justice. Sergeant Chris Varrall of Sussex Police at Hastings adds: “The HATH has had a significant impact on the way we police this type of crime. Discovery is the next step. Discovery is about identifying vulnerable members of the community who are trapped in a world of exploitation, being used as commodities – and working with them to remove from the situation. Visit www.sussex.police.uk/media/5774/914-pp.pdf for the Sussex Policy on dealing with modern slavery. For more details, please visit www.antislaverycommissioner.co.uk.